Bet you didn't know that I'm in the International Movie Database, did you? 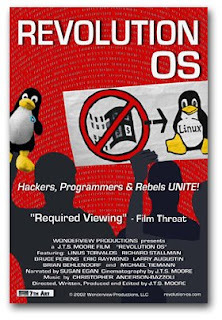 Some dude did a documentary on Linux and the open source movement called Revolution OS, and I was one of many folks interviewed. The movie has occasionally been run on the Sundance Movie Channel and you can buy it on DVD. Too bad you didn't have your fine collection of awesome clothes back then . . .